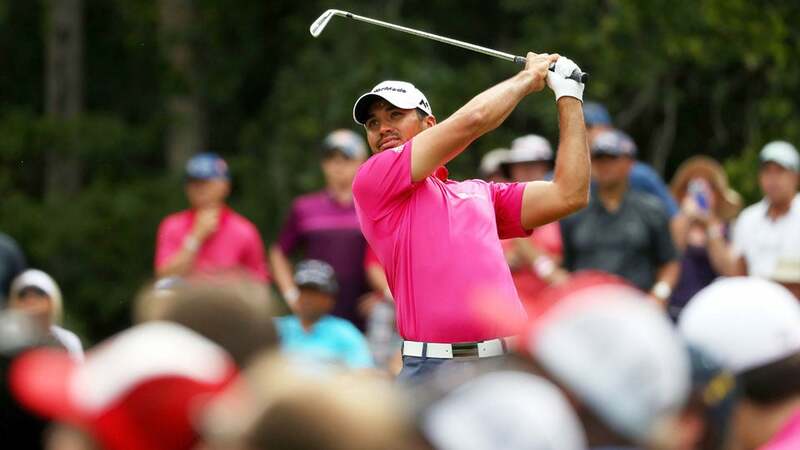 Jason Day picked up his seventh win in his last 17 starts with his victory at the Players Championship. PONTE VEDRA BEACH, Fla. –They sure don't make eras like they used to. Golf belonged to Rory McIlroy from July 2014-April 2015. The Jordan Spieth Era lasted all of three months, from the '15 Masters until the 71st hole of that year's British Open. And now we are living in Jason Day's world; everyone else is just trespassing. Day's victory at this Players is the seventh victory since last August for the world number one—on Sunday Adam Scott trotted up the most hypbolic of compliments: "Tigeresqure." Day's ongoing run includes dusting Spieth head-to-head at the PGA Championship; after bettering his would-be rival by 14 strokes over the first two rounds at TPC Sawgrass, Day now has a time-share in Spieth’s head. Those opening bogey-free rounds of 63-66 gave Day the 36-hole scoring record at the Players. PGA Tour brass overreacted with an over-the-top setup on Saturday, and Day never really regained his rhythm. That his play over the closing two rounds wasn't artful actually made this victory more impressive. On a golf course littered with booby traps and land mines, Day managed his mistakes and harnessed his emotions well enough for his second wire-to-win win of the season, and third during this dominant run of play. (Since 1970, only Tiger Woods, Tom Watson and Johnny Miller could claim two wire-to-wire wins in the same season.) At 28, Day now has 10 PGA Tour victories and he is already thinking big picture. More than the $1.89 million winners check, he valued the Players win because it burnishes an increasingly impressive resume. Day has become obsessed with playing his way into golf history—"I want it so bad right now," he says. "[The Players]is a golf tournament that you really do want to win and have it on your resume at the end of your career because it's such a huge event," Day said. "This is one of those tournaments where, if you're on the border of getting into the Hall of Fame, this could kick it over and get you into the Hall of Fame." This neo Big Three are all someday headed for enshrinement in St. Augustine but Day's victory threw into sharp relief his advantages over Spieth and McIlroy. In his two rounds alongside Spieth he hit it longer and straighter and chipped and putted with far greater efficiency. Spieth, in his first start since self-immolating at Augusta, was understandably rusty, but having to witness the JDay show -- again -- sent him into a kind of metaphysical crisis. He admitted to lacking trust in his swing and conviction with his putter and generally looked miserable during his second missed cut of the season. Day, on the other hand, demonstrated a remarkable resiliency. On the front nine on Sunday he had a case of the lefts, leading him to play the first eight holes in one over par as the softened greens were giving up good scores. On the par-5 ninth he was pin-high in two shots but proceeded to fluff three straight chips, leaving himself a six-footer to save an awful bogey. He knocked it in -- Day called it the key putt of the tournament -- but his lead had been trimmed to two strokes over a gritty Ken Duke. . A lesser player might have crumbled but Day stepped up on the next hole and hit two perfect shots and buried a 17-footer for birdie. (This was of a piece with Day following both of his double bogeys on Saturday with birdies.) On 13, Day coaxed in another 17-footer for a birdie to push his lead back to four strokes. He cruised in from there, leaning heavily on a magic 2-iron that he was routinely ripping 290 yards off the tee. Day finished with a 71 to reach -15, giving him a four-stroke win over Kevin Chappell. Those two midrange birdie putts were nothing new for Day, who came into the week second in strokes gained putting. McIlroy was 92nd and on Saturday he couldn't have putted any worse, taking 37 jabs with his flatstick to ruin a round during which he hit 16 greens in regulation. The driver has always been McIlroy’s money-maker but Day is actually ahead of him in the total driving stats, and Day led this Players in driving distance at 311.5 yards a pop. Bigger still is the difference in their wedge games. Day led the Players in scrambling, getting up-and-down a staggering 17 times out of 20. Meanwhile, McIlroy repeatedly failed to rescue his mistakes, a regular theme in this disappointing season; he led the field in birdies at Quail Hollow and very nearly did at Masters but made far too many bogeys to have chance at victory. "I've had a couple times this year," says McIlroy, "where I've been a little bit tentative on the course … when things start to go against you in terms of momentum. You're fighting in the whole time and trying to get something good to happen sometimes it doesn't and it's hard to just keep fighting the whole time." 2016 Players Championship Wrap-Up: Is the Big Three Dead? This is in stark contrast to Day. He is one of the game's hardest workers and he brings that blue-collar sensibility between the ropes. Says Day, "Preparation prevents bad performance, hopefully, and that's all I'm trying to do is prepare the best I possibly can, and I think if I can prepare the best I can and so nothing really pops up and surprises me, that gives me the best shot or best opportunity at playing good golf. And from there, that mental toughness to keep pushing on, to really not stop fighting and keep pushing on and understand that you're never really out of the fight." It is this scrappiness that has turned Day into the game's most ruthless closer. He converted only one of his first seven 54-hole leads on Tour but is now five for his last five. Getting it done on Sunday was the defining trait of Tiger Woods, who has become a mentor to Day. (Not for nothing, the gap between number one and two in the World Ranking right now is the largest it's been since Woods was in his prime.) They communicate mostly by text message, and Day says, "It's a lot about just trying to get better mentally and [have] that mental toughness that he had for so long… If I'm looking for a bit of a pep talk or something like that, I always text him and ask him how he's going and I talk to him about the game and then he always ends with like, 'Go get it done—you got to earn the wins, they're not given to you.'" In fact, Day seized this one, and it was never much of a contest. Day is the longest straight hitter on Tour and the straightest long hitter. Nobody putts better or plays with more confidence or determination. Golf has once again transitioned into a new era. This one looks like it's not going to end anytime soon.